Having a cold can be very troublesome. It is not a serious condition, but we hate getting one because it usually means we could experience symptoms like runny nose, nasal congestion, watery eyes, cough, fever and body aches. Scientists have not found a cure for colds but there are a lot of medicines in pharmacies and supermarkets to relieve its symptoms. Finding the best cold medicine could be confusing because there seems to be a lot of choices available. Experts recommend that when choosing a cold medicine one must read the label, find one that is suited to your needs, and follow instructions as directed. Here is some information to help you choose the best medicine that will suit your needs. Oral decongestants. A decongestant relieves a stuffy nose, which makes breathing uncomfortable. Decongestants that can be taken orally include pills, capsules and syrups such as phenylephrine (e.g. Dristan, Contac Cold and Flu, and Sinutab) and pseudoephedrine (e.g. Sudafed Congestion). Although oral decongestants are the best cold medicine for stuffy nose, they have some side effects, including nervousness, trouble sleeping, and dizziness. If you have heart disease, high blood pressure, diabetes, thyroid problems or enlarged prostate, you must ask a doctor for advice before using them. Pregnant or breastfeeding women should also seek medical advice before using any medication. Decongestants must not be taken for more than a week because of potential side effects. Cold medicines containing pseudoephedrine may need a doctor's prescription. Nasal spray decongestants. This form of decongestants is applied directly to the nasal membranes. These include oxymetazoline (e.g. Dristan, Afrin, and Sinex) and phenylephrine (e.g. Neo-Synephrine and 4-Way). Nasal spray decongestants have similar side effects as oral decongestants. In addition, they also cause stinging, burning, and nasal dryness. Nasal decongestants must not be used for more than 3 days because these medicines can make your nasal congestion worse (rebound effect). Runny noses are irritating and embarrassing. This condition may be accompanied by constant sneezing, watery eyes and nasal congestion. The best cold medicine for a runny nose is an antihistamine, which prevents the release of histamine in the body. Antihistamines dry out a leaky or drippy nose, but one must be careful in using these because they can cause drowsiness, which may be dangerous for someone who needs to drive or operate heavy machinery. Alcohol intake must be avoided to prevent accidents. Examples of antihistamines include diphenhydramine (Benadryl) and chlorpheniramine (Chlor-Trimeton). Cough suppressants. These medicines help you stop coughing, which can be very uncomfortable especially when you're around other people. These include active ingredients like dextromethorphan (e.g. Delsym, Robitussin Cough, and Mucinex DM). Their side effects include drowsiness, nausea, dizziness, nervousness, and stomach pains. Ask your doctor about taking medicines with dextromethorphan especially if you are pregnant, breastfeeding or experiencing chronic cough associated with asthma, smoking, and emphysema. Expectorants. These cough medicines work differently. They relieve chest congestion by making the mucus thinner, thus easing cough. In the U.S., guaifenesin is the only available expectorant, and it is found in medicines like Robitussin DM and Mucinex DM. Their side effects include nausea, vomiting and headache. Many cough medicines combine cough suppressants with expectorants. Pregnant and lactating women must check with their doctors before taking these medications. Pain relief drugs like aspirin, acetaminophen (e.g. Tylenol) and ibuprofen (e.g. Motrin IB, and Advil) help lower fevers. 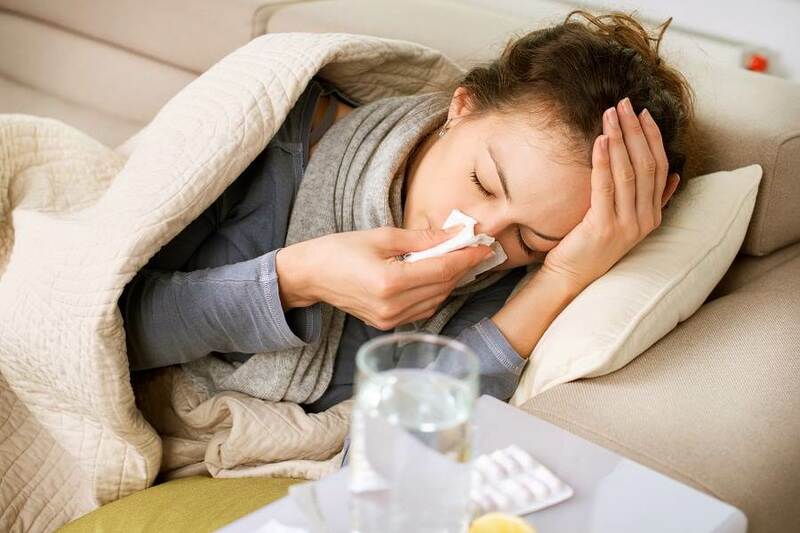 Colds may be accompanied by low-grade fever, which is the body's natural response to invading viruses and bacteria. Some experts recommend letting a fever subside on its own, but if the fever makes you uncomfortable, you may take some medicine to relieve the symptom. However, you must call your doctor if your temperature is 103°F or higher, or if the fever lasts for more than three days. Seek medical help if new symptoms appear. Many brands of cold medicines are a combination of different drugs. They may combine an antihistamine, a decongestant, a cough suppressant, a cough expectorant, and a painkiller in just one pill. 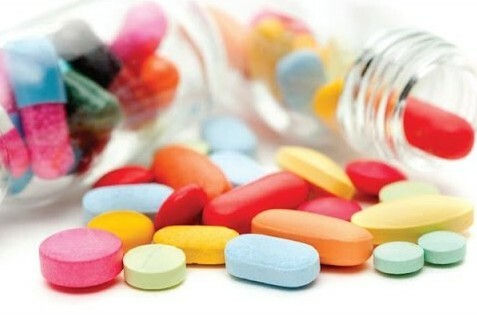 Experts advise that you should be careful when choosing these pills because you may experience unnecessary side effects. When opting for a drug for multiple symptoms, choose the cold medicine, which matches your symptoms properly. 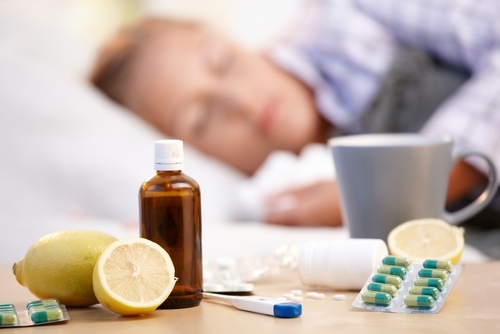 Some people want to avoid drugs and choose complementary treatments for colds. These alternatives include zinc, vitamin C, and echinacea supplements. However, evidence about their effectiveness is lacking. It is best to check with a doctor to make sure that these are safe and effective and will not interact with other medicines you are taking. There is no permanent cure for colds, because there is no drug that can kill the cold-causing viruses once and for all. However, the best cold medicine is one that can relieve your symptoms without causing significant side effects.